Last November 27th 2016, it was announced the investment of 100 million SEK, the largest one ever received by Luleå University of Technology (LTU), to reinforce the progress of some of the most innovative research areas developed within the institution. The funds will be jointly provided over a period of five years by Knut and Alice Wallenberg Foundation (50% of the total amount), Kempe Foundation, County Administrative Board of Norrbotten and LTU itself, and will allow the recruitment of young and creative scientists who are able to contribute novel ideas to the progress of the before mentioned areas, assuring the presence of LTU in the forefront of the related investigations. The Group of Atmospheric Science, as part of the Department of Computer Science, Electrical and Space Engineering, is one of the beneficiaries of this powerful economic momentum, which will serve to develop its proposed project LIFE (Learning to Interpret Features from Exoplanets).The LIFE project has been outlined in collaboration with Cambridge University’s Institute for Astrobiology (IfA), and entails the creation of an Expert Centre for Exoplanetary Radiative Transfer and Retrieval (RTR), which will be devoted to the development of advanced methods for the spectroscopic study of exoplanets, with the aim of becoming a centre of international reference in the field. During the last years, the catalogue of exoplanets has been increasing at an accelerated pace, counting by the time being almost 4,000 confirmed detections thanks, in a good measure, to the operations of a singular dedicated space telescope: NASA’s Kepler. There are other missions scheduled in the programmes of NASA and ESA for the next future, all of them showing an improved capacity of detecting planets in far star system, including Earth-like ones, so it is expected that the catalogue will be bloated with lots of new discoveries from now on. However, apart from the mere verification that they are there and a number of basic features (size, composition, orbital situation…), little more information about their characteristics has been inquired so far. 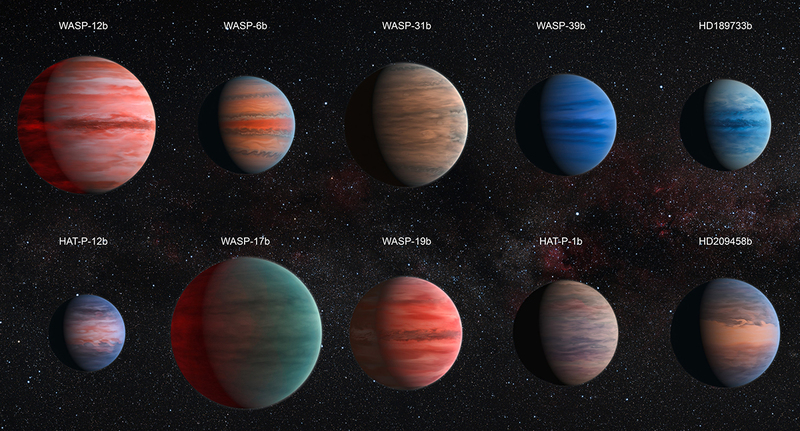 Therefore, the fine characterization of these planets is the pending next step to be taken, and it only can be addressed by analysing the spectral information already recorded from them, as well as that to be gathered by the next generation of exoplanetary missions. The Expert Centre for Exoplanetary Radiative Transfer and Retrieval is aimed to develop innovative and advanced radiative transfer techniques which can constitute standards for the spectral study of exoplanets, with a special focus on the search for traces of life on them. The objectives of the centre are the development of radiative transfer tools, their validation by comparing their results with those obtained by means of different satellites on Earth, and their further use to analyse exoplanet’s spectra. Of course, its activity will point to the optimization criteria that must guide the improvement of the observation instruments from now on, and pursues the establishment of standardized methods to be put at the disposal of the scientific community for their exoplanet-related investigations.